As the investigation unfolds, Max becomes more intricately involved. Memories he'd rather not revisit are stirred, evoking the demons from the past which led him to Nether Monkslip. 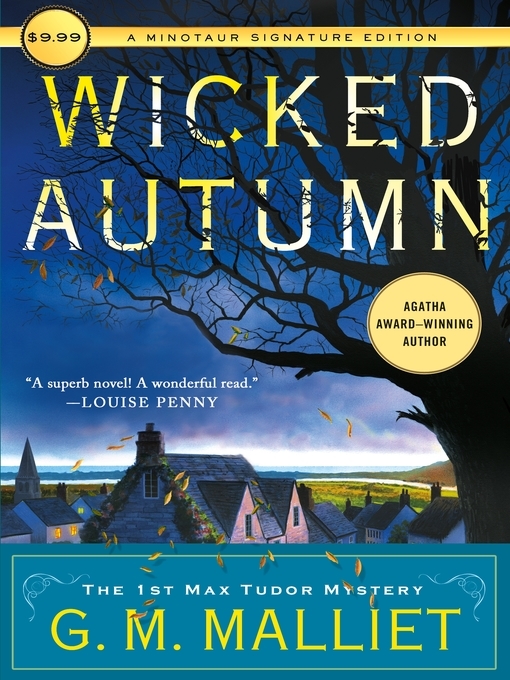 In WICKED AUTUMN, G.M. Malliet serves up an irresistible English village—deliciously skewered—a flawed but likeable protagonist, and a brilliantly modern version of the traditional drawing room mystery.